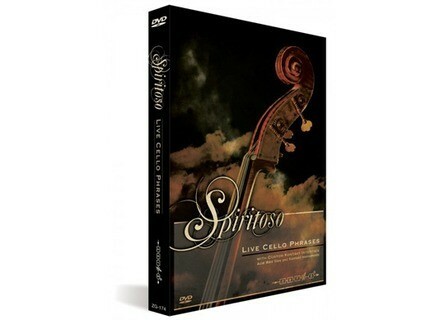 Spiritoso: Live Cello Phases, Virtual cello from Zero-G. This latest release from Zero-G features live recorded cello phrases, rhythms, chords and arpeggios played by Royal Liverpool Philharmonic Orchestra cellist Ian Bracken. 57 Kontakt 4 instruments which allow patterns to sync to the tempo of your projects. A variety of chord, rhythm and scale types can be selected using key-switches and the dynamic level pp to ff can be crossfaded by mod wheel. Two mic positions (close and room) can be chosen or blended. This massive 17Gb collection is compressed down to 8Gb of material using Kontakt 4’s compression technology and includes 5000 WAV files in addition to the 57 Kontakt 4 instruments. 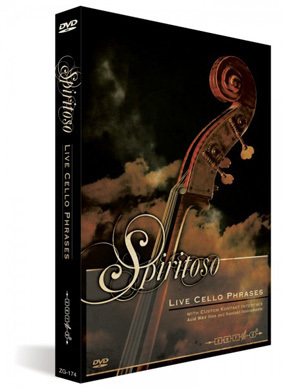 Spiritoso: Live Cello Phrases can be purchased in DVD format, and, as with all new Zero-G releases is also available to download from Time+Space. Native Instruments Alicia's Keys Review Following our review series on virtual pianos, we test the results of a triple collaboration between a manufacturer (Native Instruments), another manufacturer (Scarbee) and an artist (Alicia Keys). Ueberschall 60s Psychedelic Rock 60s Psychedelic Rock comes with analogue signal-flows and tape-compressions, for sounds typical of the psychedelic sixties. MDP Software mobileRhythm mR-606 MPD Software has announced that a major update to their drum machine app for iOS, mobileRhythm mR-606, is now available as a free upgrade on the Apple App Store.